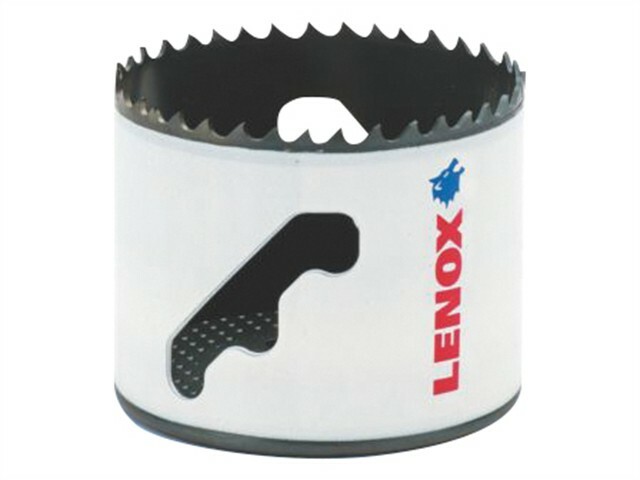 The LENOX® Bi-Metal Holesaw features an advanced tooth design that increases cutting life. The large sharp teeth provide fast, efficient cutting in wood. The optimised tooth design also penetrates metal with ease. Increased wall thickness improves durability and minimises tooth loss. The SPEED SLOT® staircase design provides fast and easy plug ejection.